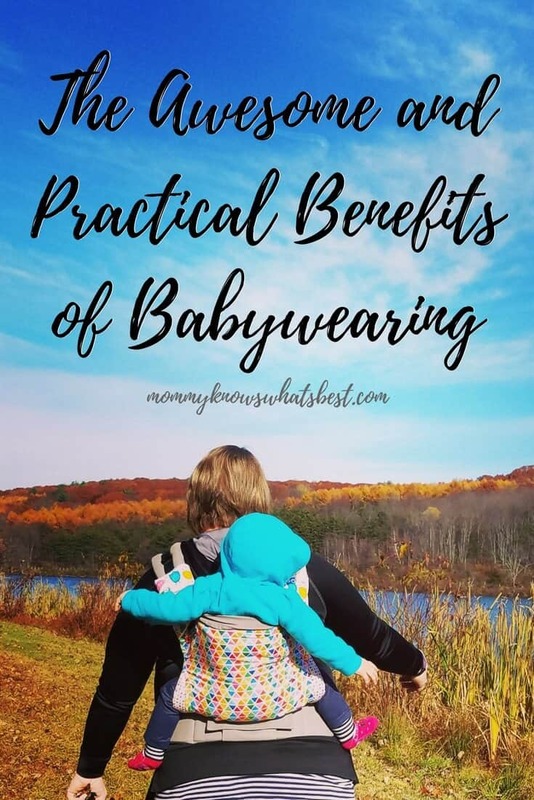 Know the Benefits of Babywearing? 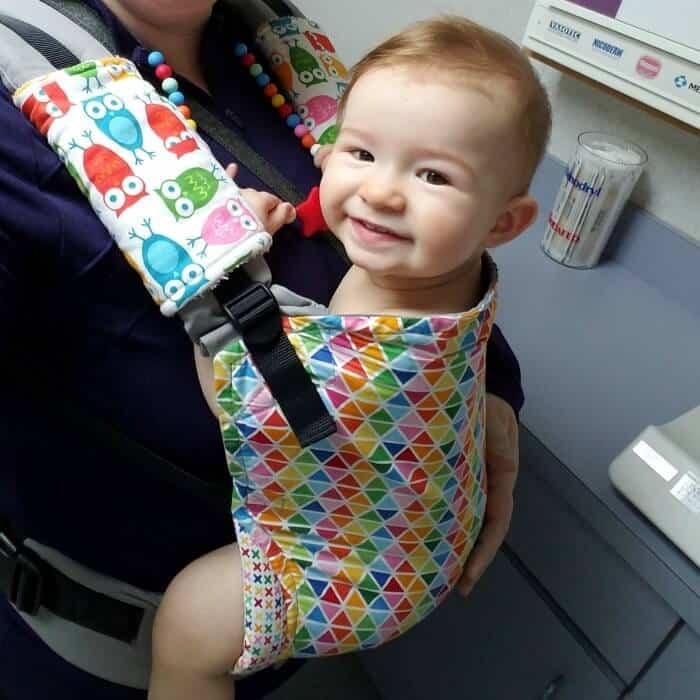 “My sister just got a thing like that at her baby shower, and was super mad about it.” The receptionist at the doctor’s office said to me, referring to my baby carrier. I nod, knowing how I felt about babywearing back when I had my first baby. I was expecting her to scoff at me for having such a thing, as is usually the case when someone notices I am wearing the baby. Phew. Someone who was happy about babywearing! I told her all about the benefits of babywearing and how babywearing has made my life with a baby and three other kids easier. She was so excited to tell her sister everything she had learned! Why is it that babywearing is so misunderstood? I mean, women (and men!) have been wearing their babies for centuries, perhaps for even thousands of years, so that they can get stuff done. How do you think those hunters and gatherers got their food? Could you see a caveman/cavewoman come out of the cave with a jogging stroller, with an attachment on the side so they could carry their club and a basket underneath to carry their latest kill? Harsh example, but yeah, no. People have been using slings and wraps, even baskets, of all kinds for many, many years to bring their babies along when the day’s chores needed to be done. It was, and still is, a simple and practical way to ensure that babies are safe and healthy while the adults do what they need to do to survive. keeps baby close and helps parents to be more aware of hunger signals, tiredness, illness, and more. gives parents the chance to connect with their older children while also taking care of the baby. helps to keep baby content by providing physical assurance and human contact they crave. helps baby to stay alert and learn more about his or her surroundings. gives baby the constant motion he or she felt when in the mother’s womb. soothes baby during illness or when he or she is overtired. allows breastfeeding to be done anywhere, any time. helps to boost breastmilk production thanks to the close contact. helps baby to socialize with others. keeps baby safe, especially when worn out in public. So many AWESOME and yet practical benefits of babywearing! So, what changed? These benefits of babywearing seem pretty good, right? When did babywearing stop being necessary? According to The History of Babywearing and ‘Modern’ Slings (which is a fantastic read, by the way! ), the decline in babywearing came when people started to modernize and create products such as the stroller and baby cots, starting in the early 1700s. Back then, people with money, who could afford such luxuries as strollers, began to see babywearing as a poor person’s way to deal with a baby. Along with this way of thinking, people in the medical field urged parents to put babies in strollers and cots so that babies wouldn’t get spoiled by being held. It wasn’t until the 1980s until people began to see the usefulness of babywearing again. Sure, baby carriers existed then, but how many people really used them? Any baby carrier that did exist may have been a cloth-like wrap that people did not find appealing or something like the Snugli that was a very, very basic soft structured carrier. In 1981, a man in Hawaii invented a ring sling so his wife could carry their baby. It became so popular that Dr. Sears bought the rights to the sling and began to promote his coined term ‘babywearing’. The attitudes toward babywearing here in the US have changed since the 1980s, but I think we still have a ways to go. 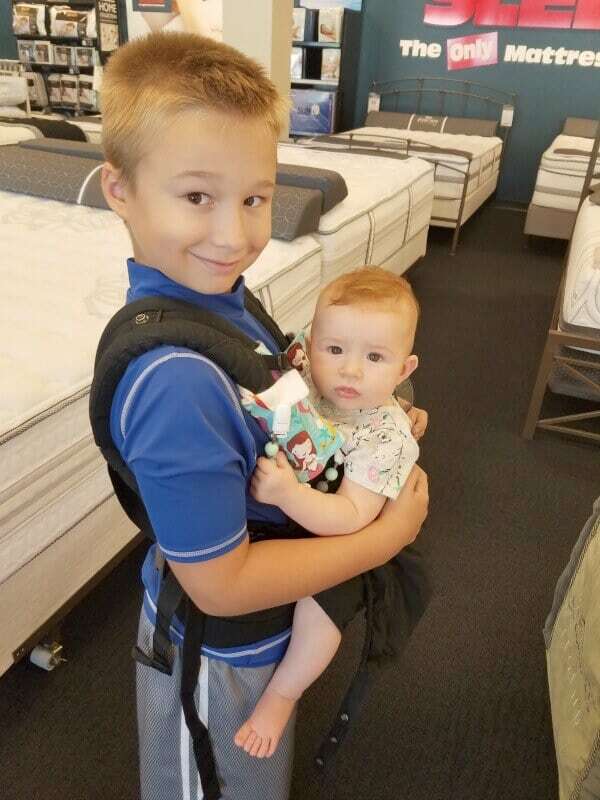 Back in the early 2000s, when I first became a mom, most people knew about the inexpensive baby carriers such as the basic soft structured carriers (SSCs) available at baby stores, but those carriers tended to be uncomfortable for both the parents and the babies (I know because I used to own one!). You almost never saw other parents wearing their babies here in our little corner of the US, and if you did, it was a thing of wonder. For my husband and I, the baby carrier was something we used sparingly, like if we knew we were going to a place that wasn’t stroller friendly. To see a baby carrier in use at a store or at a park or even at home was very rare for us. Were people babywearing? Were people using wraps, slings, and SSCs? Certainly, but you just didn’t see it. 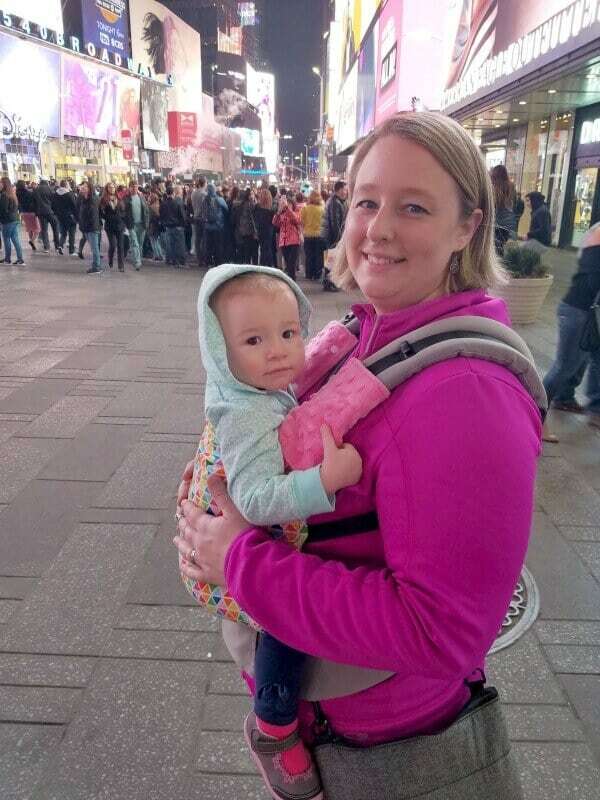 It wasn’t until around 2007 or so that babywearing started to become a mainstream ‘thing’. People began developing their own carriers since they were unhappy with the uncomfortable SSCs available, which is how ErgoBaby came about. BabyBjorn was already making carriers, but they began to become more mainstream. The creators of Tula baby carriers came to the US, saw the growing babywearing community here, and started making carriers here. Lillebaby created their line of carriers. Infantino worked on their versions of a baby carrier. The Moby Wrap got its start and started selling its signature stretchy wrap. Many other brands started to create their baby carriers and sell them as well. 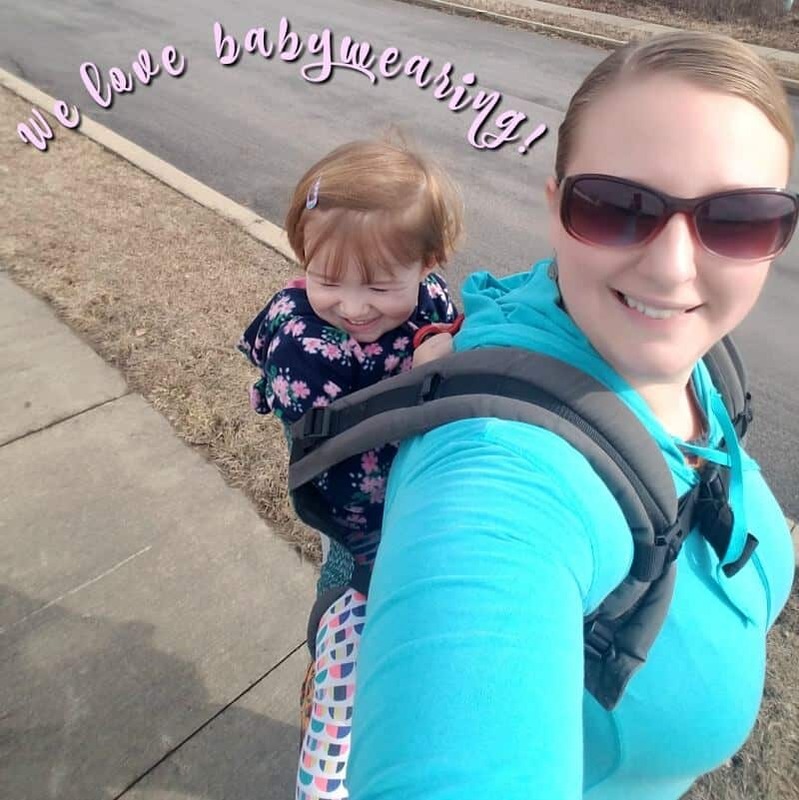 Just a simple google of ‘babywearing’ will give you an abundance of information on babywearing and all the different kinds of baby carriers available now. 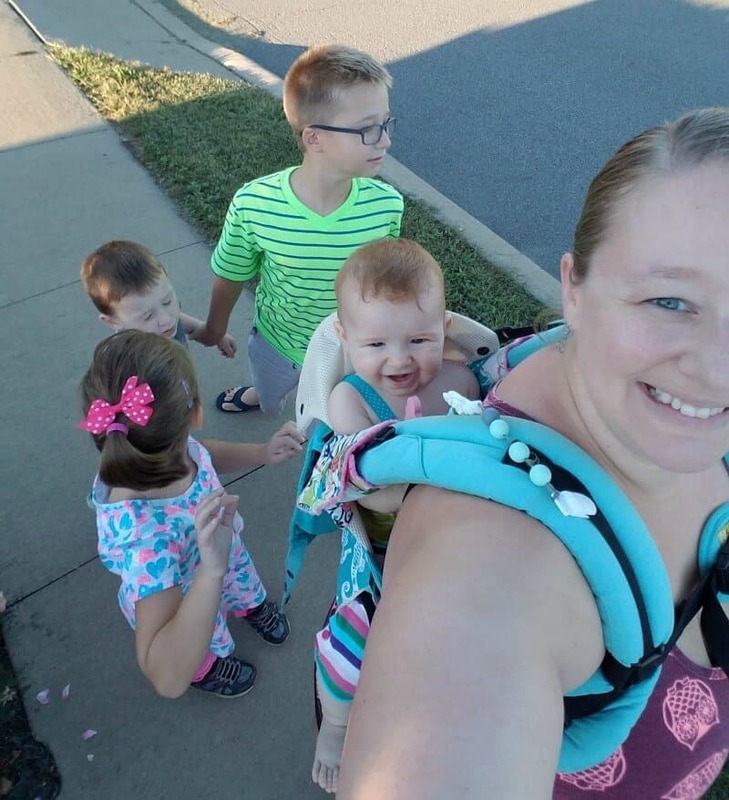 So many more parents are open to babywearing and the benefits of babywearing, which I think is due to the fact that so many parents are connecting online through social media, forums, and blogs. Would babywearing be gaining momentum without the internet? I’m not so sure. But I’m so glad to see that it’s becoming more mainstream! I didn’t get back into babywearing until I had my third baby in 2013. It was then, after having three kids to take care of, that I realized my need for something to keep my baby close while I took care of my oldest two kids. Holding a baby in my arms was an arm burner. It was difficult to push a stroller one handed while holding the hand of my second child and hoping the first one didn’t run off on me. Even with a double stroller, it was difficult to navigate my way around. By then, there was a lot out on the internet about what baby carrier is best. I did a lot of research, and being a blogger I read a lot of blogs and reviews of babycarriers. Since my baby boy was still an infant, I started with a black Moby Wrap since it was budget friendly and seemed easy enough to use. After getting used to how to put a wrap on (thanks to baby wrapping videos!! 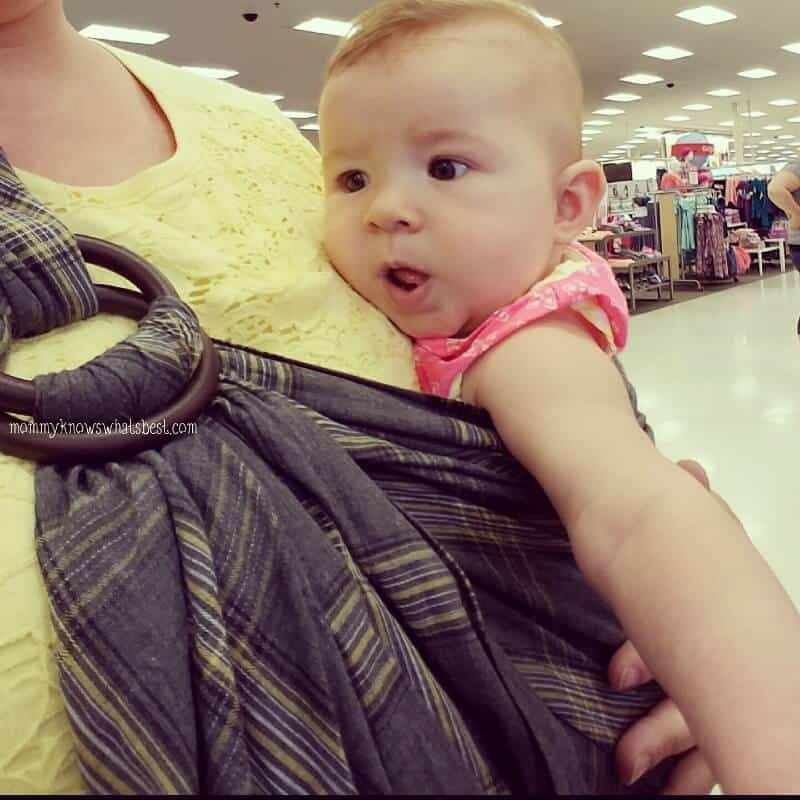 ), I realized how much babywearing improved my life. I had two hands again to help my two oldest kids! I could get laundry done while keeping the baby close. We could go to places without needing to pack the stroller in the car. When he was 2 years old and I was pregnant with Baby #4 I was reintroduced to SSCs, my first Lillebaby. 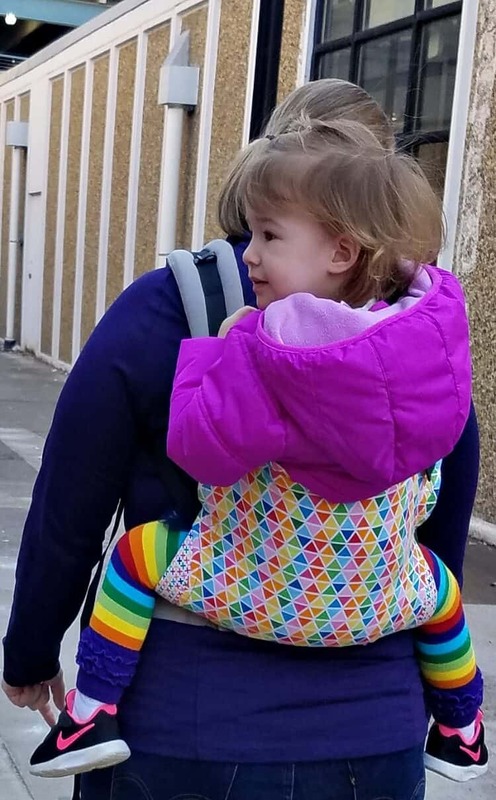 I got the Lillebaby Complete All-Seasons Carrier and fell in love. I have been babywearing consistently since then! My collection has since grown. 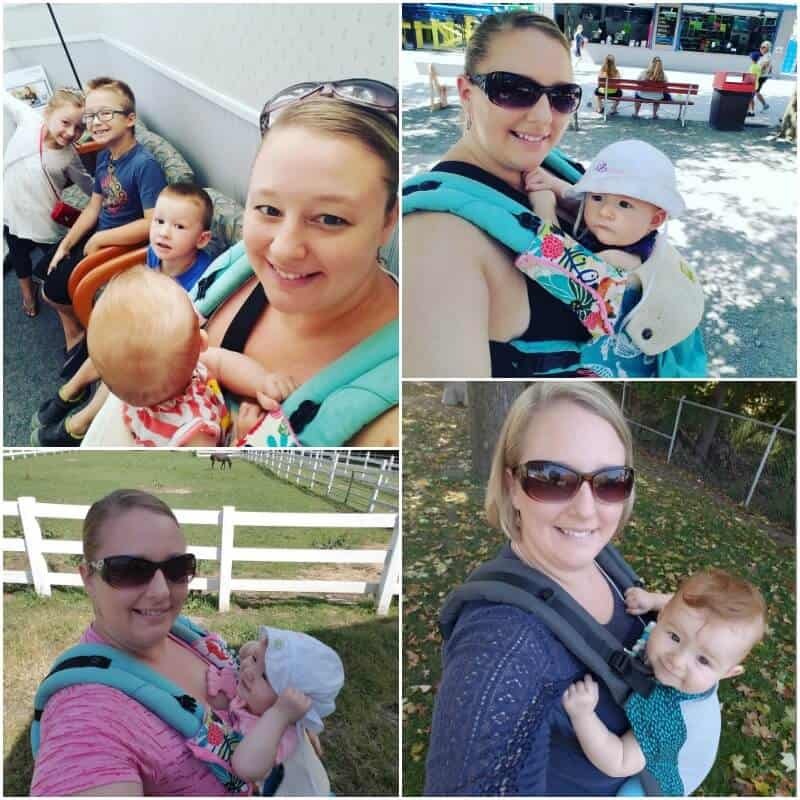 I have two Lillebaby carriers, one Tula Standard Canvas, one Tula Standard Coast, two Mayaway ringslings, one Beachfront Baby ringsling, and one Beachfront Baby wrap. And I love them all! READ: Which Baby Carrier is Right for Me? When my youngest was born, I started wearing her in a ring sling right away in the hospital. Now that she’s a toddler, I’m still babywearing her and don’t plan to stop for a long time. There are just too many awesome benefits, and honestly, these days, babywearing a toddler in public spaces is just so practical! Why do you babywear? Is it for a practical reason or do you just love to do it? What do you think? I’d love to hear from you! This is very helpful. I was feeling overwhelmed. I love to wear my baby. I have a 3 year old son too, and he is a handful. It makes it so much easier to do everything when I have 2 free hands. Amen to that! Having two free hands is everything when you have other kids to chase after.